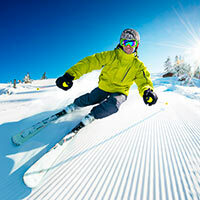 Skis, boots, bindings and gear for alpine skiing. We help you choose the perfect pair of cross country skis for you. 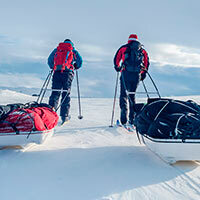 Deep snow and long tour gear from skis to pulkas. Nordic skating gear, snowshoes and pulkas. Free your heels and enjoy the snow! 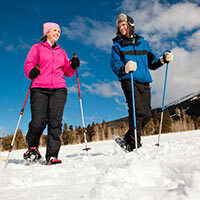 Pros and enthusiasts alike will find their ski care products here. 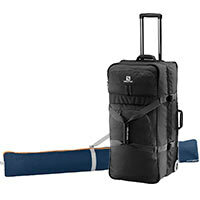 Protect your skiing gear on the go. 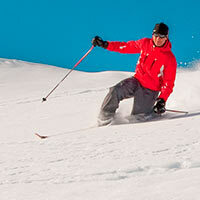 Scandinavian Outdoor is a winter sports expert - our staff includes ski guides and racers. We will give you advice on the suitable ski for your use, and we can choose the correct pair of cross country skis for you based on your height and weight. With alpine skis we will naturally adjust the bindings for your weight. Cross country skis have seen a revolution as new grip technologies have taken over - waxing skills are not required. Alpine skiing is a microcosm of alternatives from jibbing to free skiing. Feel free to ask us for advice if you can’t decide which gear to choose!